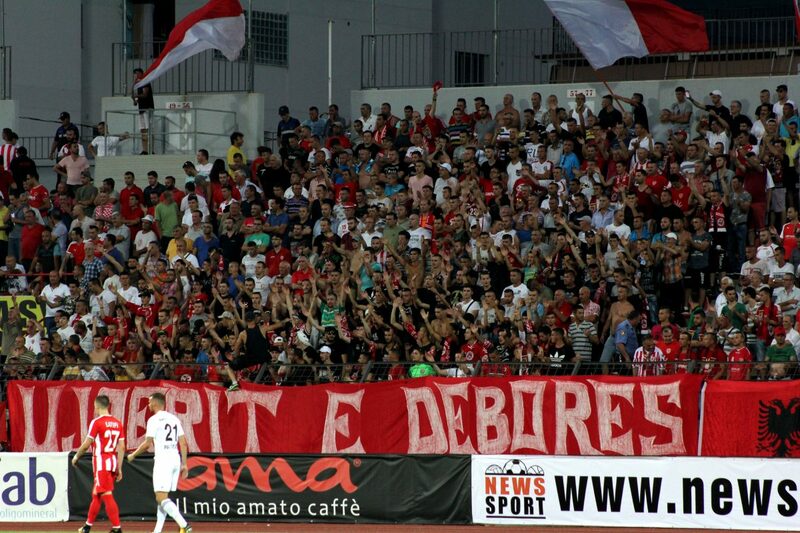 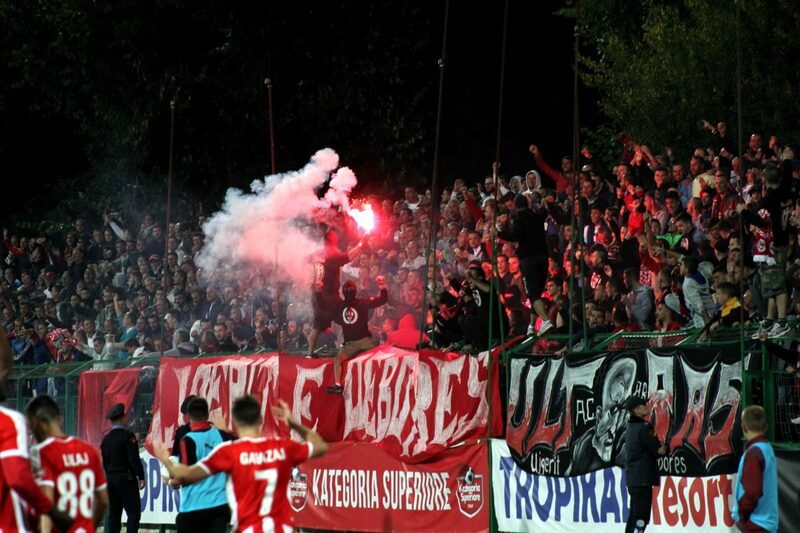 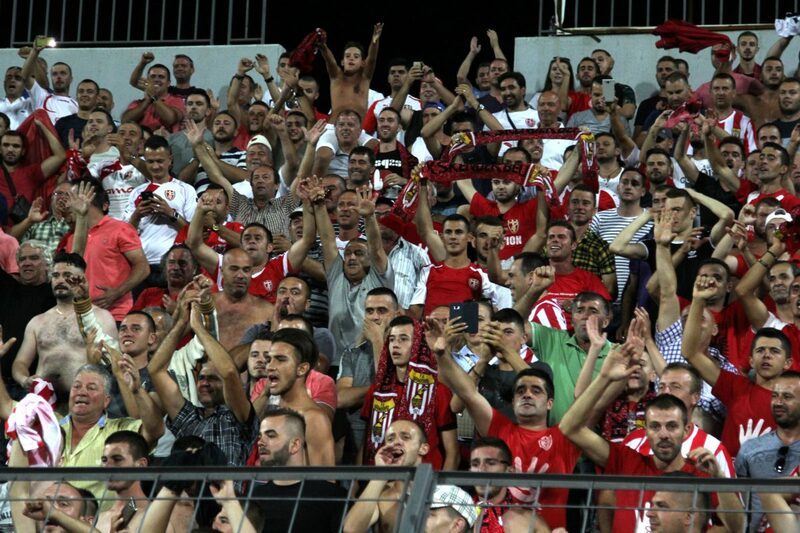 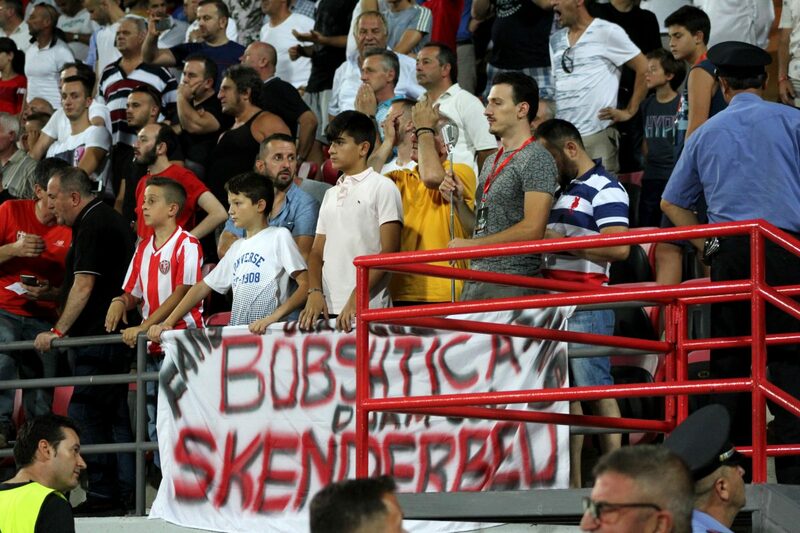 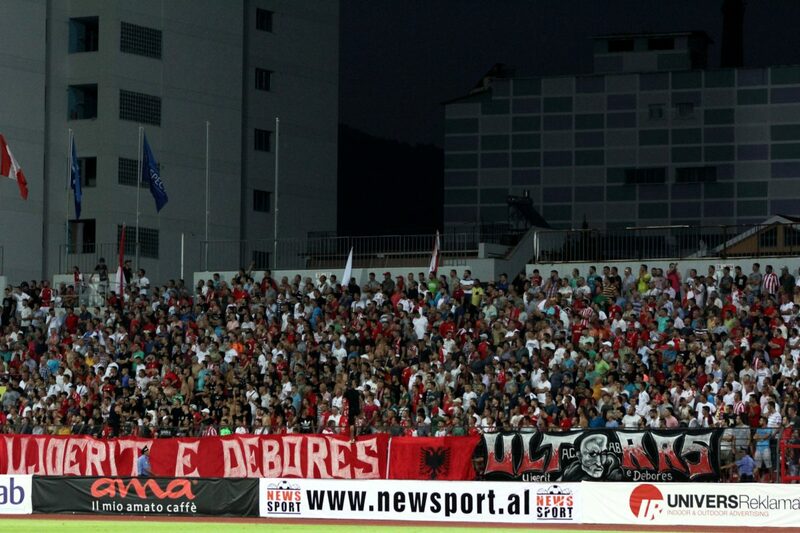 Skenderbeu is one of the most supported clubs in Albania, thanks to the great support of the “Snow Wolves” fan club, one of the oldest fan clubs in Albania, a name that has been manifested in Albania sport ‘world’ since the communist era but was officially and legally created in August 2008. 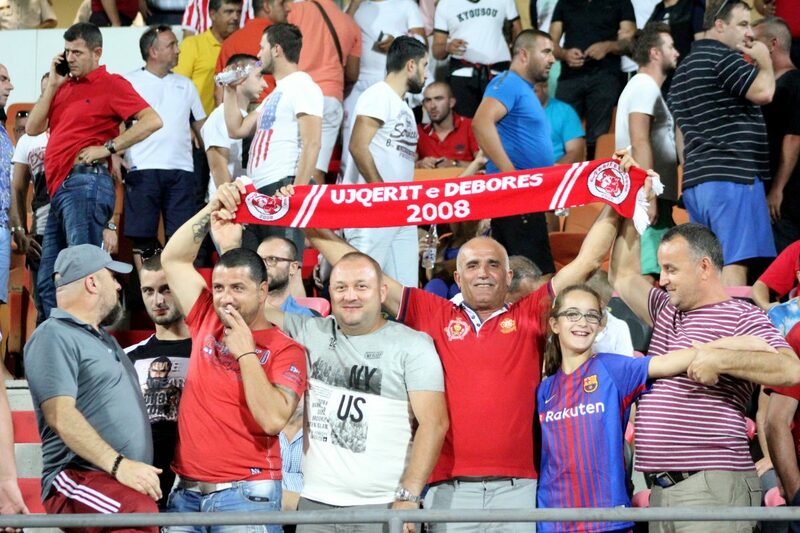 They are always present in a large number supporting the club, home and abroad, which is the main reason for club success in the last 7 years. 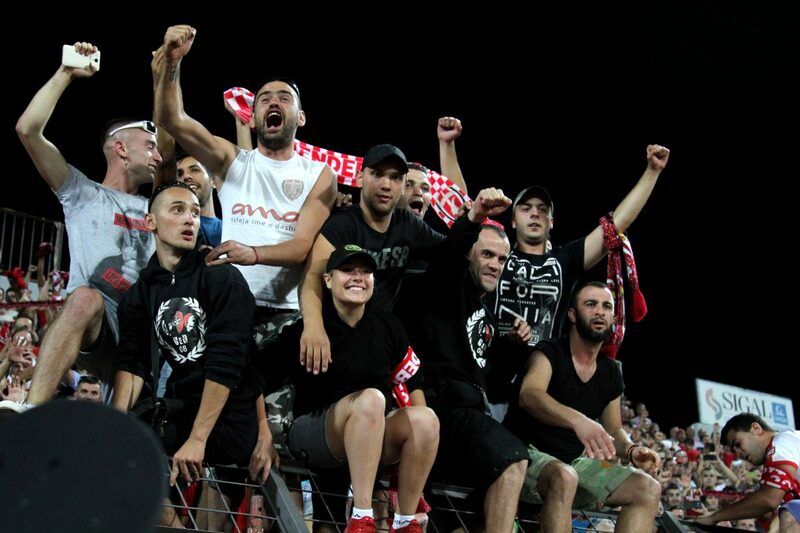 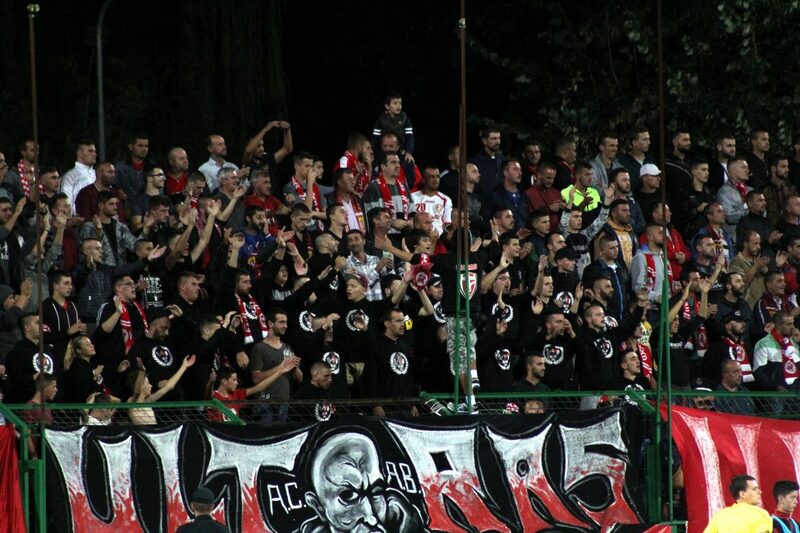 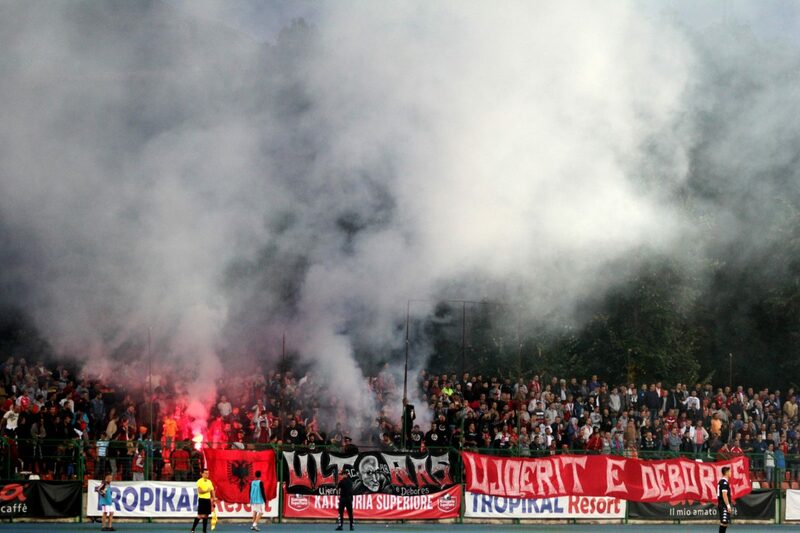 “Snow Wolves” are known for their tifo culture shown on the stands of the stadium, This is the main reason they have more female members in Albania. 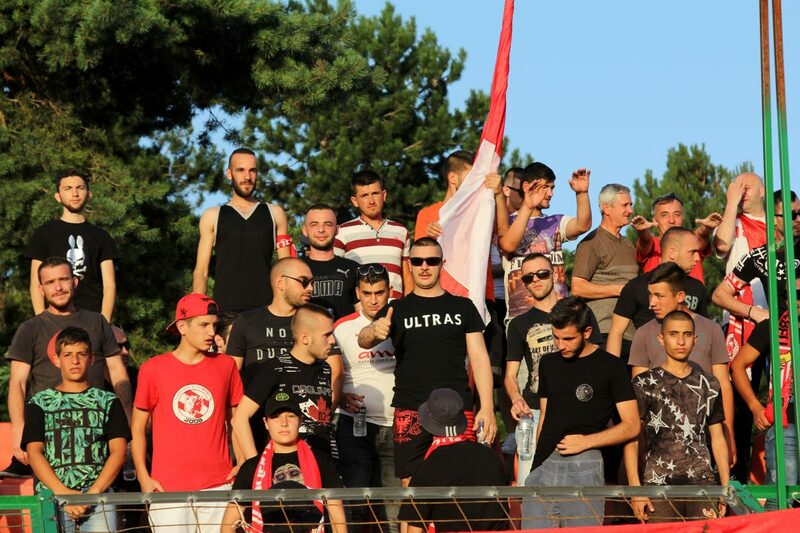 In July 2013, Snow Wolves made their first European trip in Hungary where the team faced Debrecen for the return match valid for the UEFA Champions League after the 1-0 win in Korca. 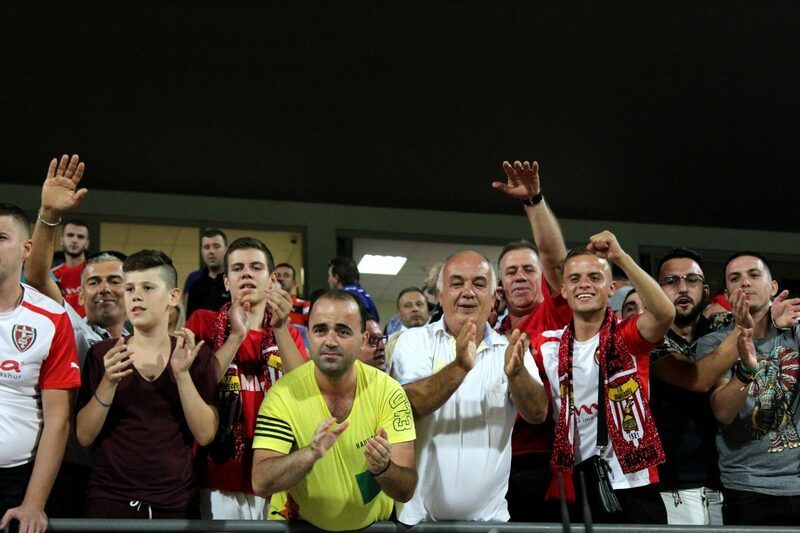 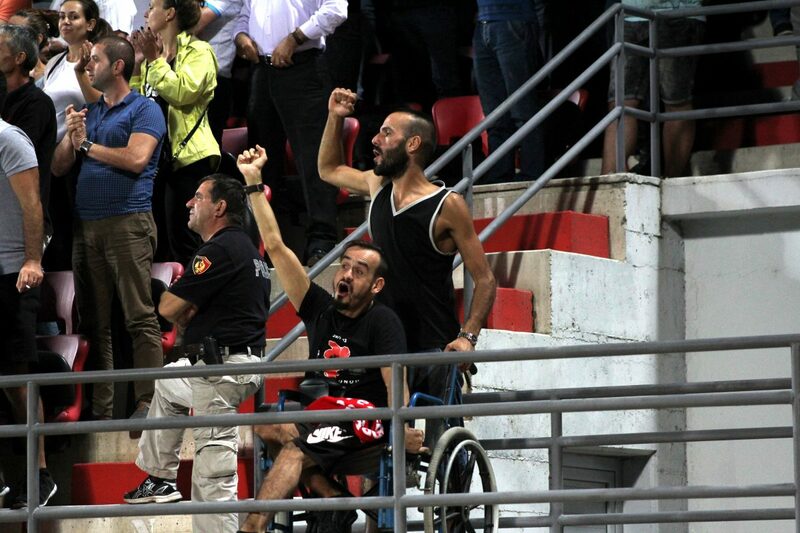 Disqualification did not stop them to support the team throughout the 90 minutes. 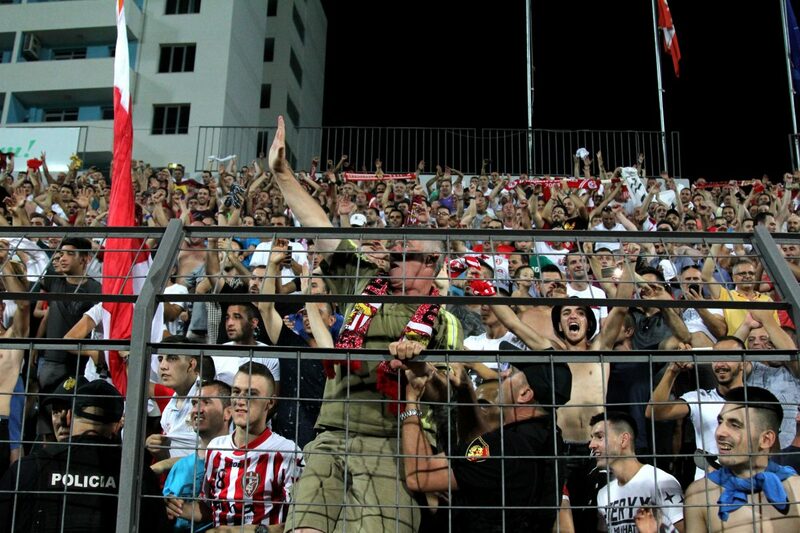 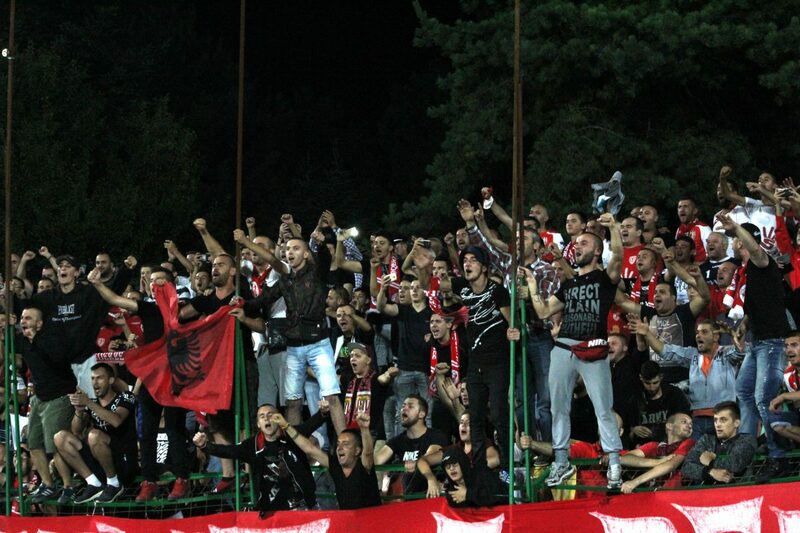 The group has several friendships with other fangroups outside the Albanian borders mainly from the diaspora and the Albanian lands in Macedonia and Kosovo. 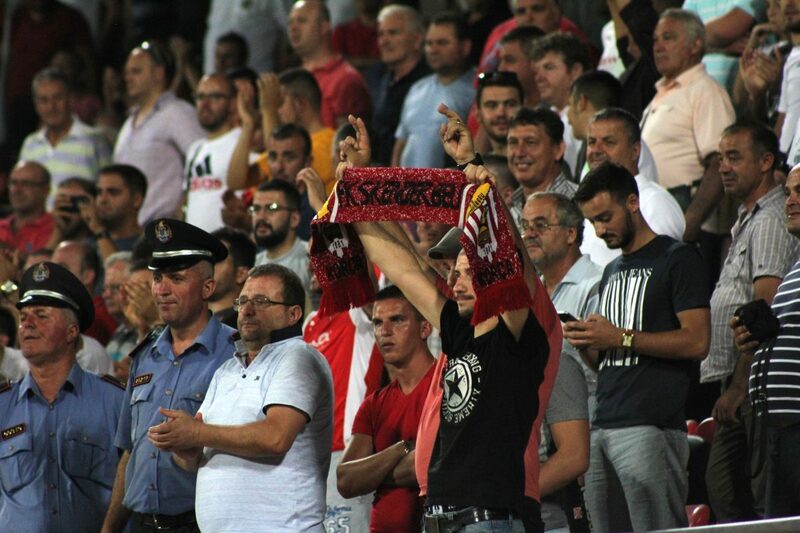 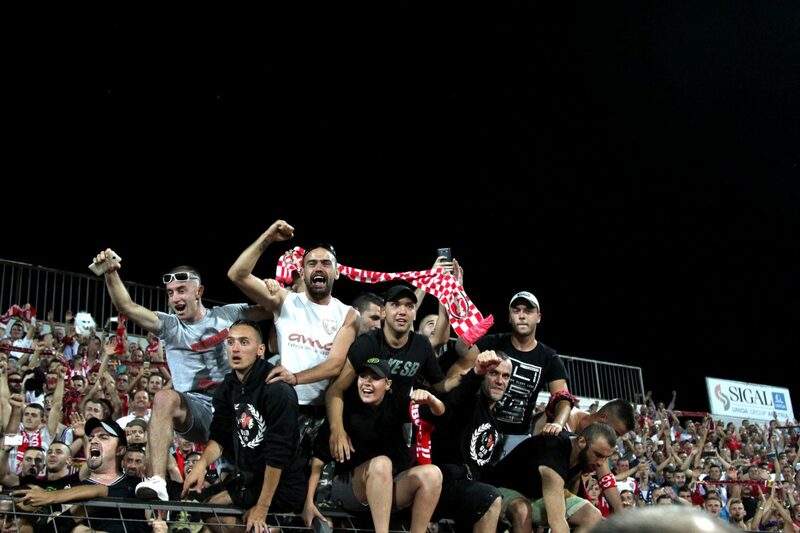 We can mention the friendships created with the Tetovo group, ‘Ballists’ who are the main supporters of Shkëndija in the Macedonian Championship and with Torcida, well known fangroup from Mitrovica supporting ‘Trepca 89’..